Buliisa District Local Government Education Sector has been moving from One level to another in the past 4 years. The Education Sector is managed by The District Education Officer Mr Byenkya Christopher , The Senior Education Officer Mr Kasangaki Tyson and the Inspector of Schools Mr Mugisa. The Sector recently aquired a brand new Ford Double carbin car on top of the land cruiser supported by Unicef and co-funded by the District. CAO Buliisa Mr Oloya Stephen, Head Teacher Kisiabi P.S, DEO Buliisa Mr Byenkya Christopher and PRO Buliisa Mr Tibaijuka Hannington on Recconnissance inspection of Kisiabi Primary School Infrastructure. Latrine Block in the Back Ground. 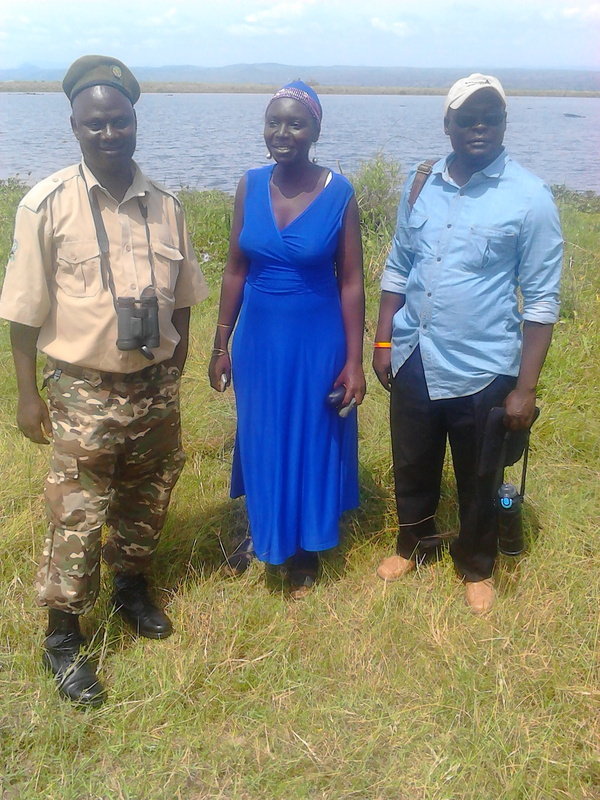 Buliisa District in conjunction with Uganda Wildlife Authority organised a tour to the Murchison Falls National Park on Thursday 1st October 2015. 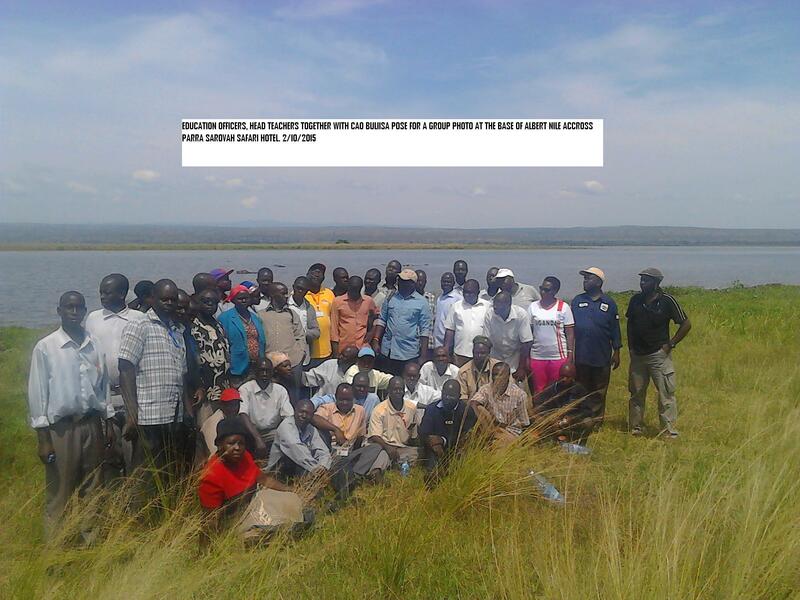 The objective of the tour was to Improve on Community Wildlife Conservation Efforts and stimulate Intrinsic Motivation amongst Head Teachers. 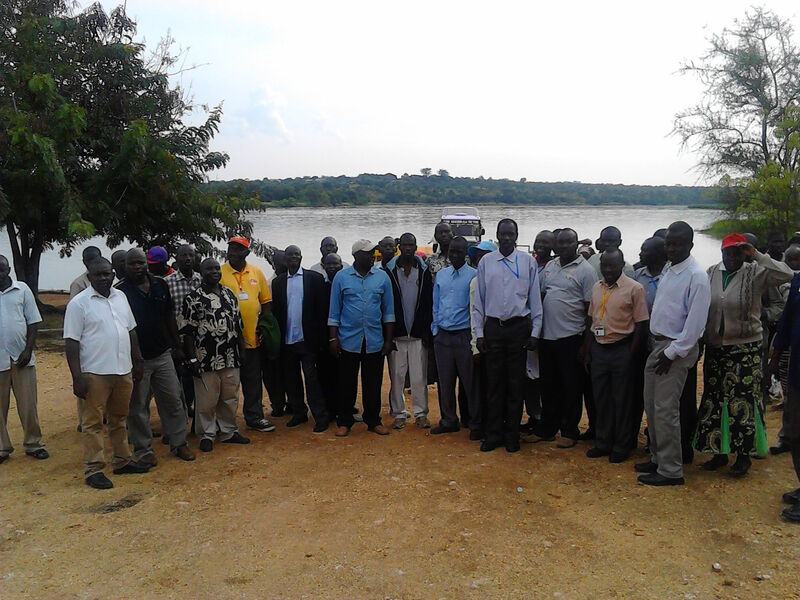 The tour was Commandeered by the Chief Administrative Officer Buliisa Mr Oloya Stephen together with the DEO Mr Byenkya Christopher and Mr Kasangaki Tyson. 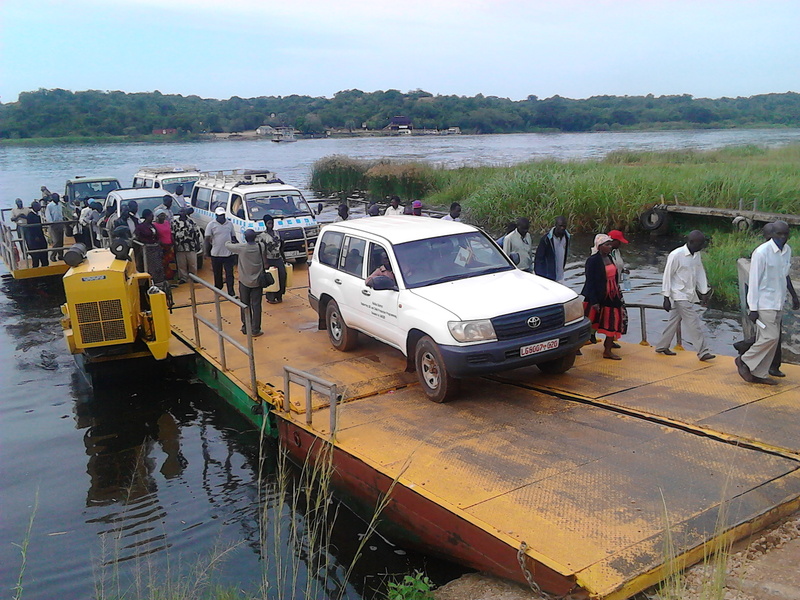 Head Teachers and District Officials arrive at the Ferry at Parra. Grand Gropu Photo at the Base of the River Nile. At the Base of the River Nile. Note the Hippos in the Back Ground. 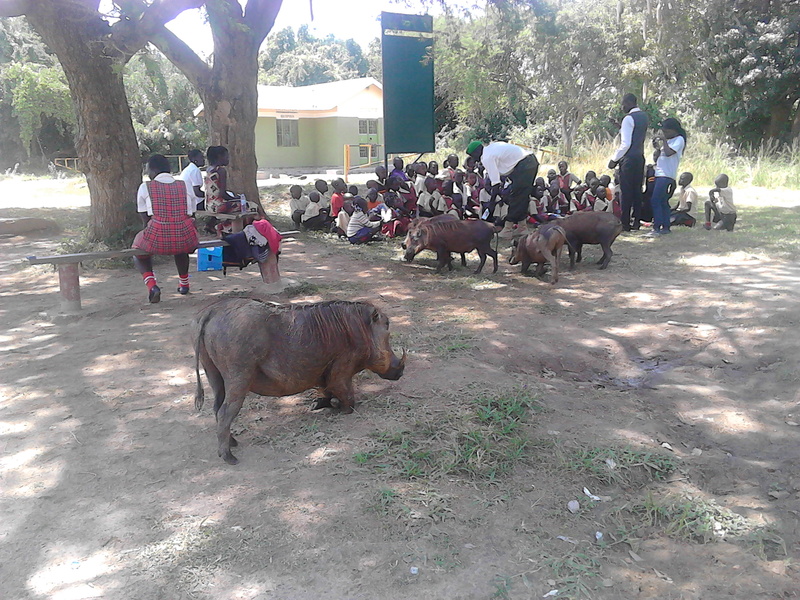 Even the Warthog had a Meal after Kneeling down to "Pray" after School children gave it meat. DEAR READER, WELCOME TO THE ACADEMIC YEAR 2016. Buliisa District Education Sector posted a relatively poor PLE Perfomance for the Academic year 2015. According to the recently released PLE/UPE Results as here below indicated, only 13st Grades were recorded in the District. In a recent DTPC/SMM, the District Technical Team endorsed a suggestion by the CAO Buliisa to select and Establish atleast 12 Model Schools as a Strategic Plan to improve Education standards in the District. This resolution will in effect see the DEO and team assemble the 12 schools, and have an extra effort in all the schools. Consequently, the DIS has submitted a comprehensive list of Model schools that will have "Special Attention than others" during this academic year 2016. The selected Model schools were communicated to all Head Teachers of Primary schools in the District at a planning meeting held on 15th Feb 2016 and are here below shown. Every Member of the District Technical Committee and our Dear Stake Holders (NGOs and CBOs, Partners, Welwishers, and the General Public), are here by requested to show interest in these schools in way of enhanced supervision, Social and Logistical support not forgeting the other remaining Schools which are equally vulnerable and equally need support. Post your Opinion on this new strategy.